Putting on AIRS | Watts Up With That? Recently we’ve been discussing products for the AIRS satellite instrument (Atmospheric InfraRed Sounder) onboard the Aqua satellite. For example we’ve been looking at the only global image we can find of CO2 from its data made in 2003, wondering where the remainder of them are. In my digging I discovered that the Apache webserver had open directory listings for folders, and this allowed me to explore a bit to see what I could find. in the \images folder I found a few images that I did not see published on the AIRS website. I’ve saved them to my server should they go offline, but have provided links to the original source URL. One for Sea Surface Temperature at the tropics seems interesting, though the data period is too short to be meaningful. Note that to eliminate cloud issues, the soundings are done when the satellite has a lookdown to “clear sky”. I find it interesting that there is a slight global cooling of the oceans during this period of September 2002 to August 2004. The question is: where is the rest of the data and why has the AIRS group not been presenting it on their website? It is after all a publicly funded NASA program. Unfortunately, the January version of this image is unavailable. It would be interesting to see if the concentrations in the northern hemisphere maintain which would point to industrialization sources. Or, if the pattern flips, and we see concentrations decrease in the NH and increase in the SH, that would point to seasonal variation and thus likely be driven by biomass. I’ve put in a request to the AIRS group for the January 2003 image, and others, we’ll see what happens. ← CO2 – "well mixed" or mixed signals? The July AIRS CO2 concentration seems to correlate well with sunshine at that time of year. CO2 is high in sunny (dry) places, low in cloudy and cold places. There are probably 2 effects at work. CO2 is dissolved in rain and washed from the atmosphere, and plants grow better in wet places and so take up more CO2. 8KM up, I’ll suggest the former is more important. Note, the low CO2 concentrations over Antarctica and to the north of India are probably due to altitude (CO2 is denser than air). This data matches the Argo ocean temp data very nicely. Must be why there aren’t many public attacks on the Argo data!! Ignore it and it doesn’t exist. Anthony i hope you succeed with your chasing around of data on this one. interesting stuff and nice data. Some of the links on the site work. Check under Results>View and Additional Projects. Thank you very much for your contribution to bringing information to basically amateurs like myself about current developments in Climate Science. Although I have a scientific and technical background ( physics and electronic engineering ) my interest in Climate Science is primarily as it influences public policy. I have been dismayed by the corruption of the science and propaganda to influence public policy in a direction, that I do not believe is in the public interest. Your website is an excellent forum for showing current and interesting scientific information. Also, it attracts a knowledgeable and intelligent set of contributors who are additional sources of information. Last, but not least, your unceasing vigilance to enforce the civility of the discussion puts your website above others, which invariably degenerate into name calling. When I initially got interested in Global Warming – just before Kyoto – , I had enough scientific understanding to realize relatively quickly that catastrophic Global Warming was nonsense and I was willing to leave it that. However, as public policy was inexorably marching towards the AGW dictated paradigm in which I do not believe in, my interest was re-kindled especially when events like decreasing solar activity coupled with an increasing divergence between CO2 model predicted climate and actual climate response is becoming evident. 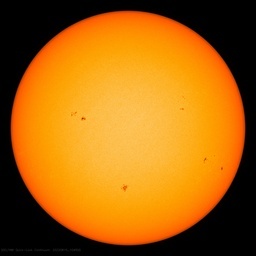 The message that I am getting that the climate is a very complex and chaotic system and no simple one dimensional – be that CO2, or sunspots – explanation will give you the total answer. Your website is giving very valuable information to those interested and I hope you will continue to provide this service. Anthony. Here is an article in today’s ‘Australian’ newspaper in the Higher education section entitled – by the journalist presenting it – ‘Countering a climate scepticism’. The article concerns a report for global warming ‘deniers’ to read (A term used by the report’s author to describe climate sceptics!). The author is Roger Jones who is a CSIRO principal research scientist and a co-ordinating lead author in the IPCC fourth assessment report. He assisted the Garnaut review in interpreting climate change science. R.S. Lindzen has argued since long that any additional greenhouse gas effect will be partly compensated by enhanced latent heat transport into the troposphere. This negative feedback is the largest in tropical latitudes, where the latent heat content of water vapor saturated air is the biggest. Probably neither is important at 8 km where we have ice crystals that form and sublime. I’d guess the only rain up there is in the middle of thunderstorm uplift from down low. All environmental observations need to be adjusted in some way, and we use scientific models to do so. … Claims that that this task is not carried out with the utmost care and with the appropriate scientific scepticism cannot be supported. My view is that anyone with a higher degree in science who maintains that the Earth stopped warming in 1998 should hand their degree back. But then, one shouldn’t expect ‘deniers’ to be placed on a panel (IPCC) whose very name mandates the conclusions of its study. Slightly off topic, but you really should read both this article in the Herald Sun (an Australian newspaper) and especially read all the blog replies. The article in question makes a really sneering attempt to belittle an article by well known Australian sceptic Andrew Bolt in which he used graphs to pose awkward questions for the Climate Change zealots which dominate our press and politics here at present. The blog responses show clearly that, despite massive funding, a breathlessly fervent government and an apologist media, the AGW theory is in deep, deep trouble with the general public. They’re just not falling for the smokescreen any more. It is largely thanks to sites like yours that the general public have been able to access the real science in an approachable way and draw their own conclusions. Hopefully a few politicians will start to become aware of this backlash amongst the electorate and back away from crippling our economy for a pseudo-religious belief. I found on the Internet a text published by the Australian “Sydney Morning Herald” on May 7, 2008. According to the author of that text, “climate change is happening faster than predicted and the world could be as much as seven degrees hotter by the end of the century, a CSIRO scientist says”. That scientist is Dr. Roger Jones, who seems to be even more dangerous than Jim Hansen. Climate change happening even faster than predicted? While during the last eight years the mean global temperature no longer increased, in contradiction to the predictions by the IPCC, Jones pretends that it is increasing even FASTER!! It is interesting that the carbontracker CO2 map barely resembles the AIRS CO2 map for July 2003. Maybe different parts of the troposphere? Really looking forward to the next few weeks on this issue. This data is just as important as the CO2 data. Why only January and July 2003? These images of TRUE surface temperatures could put GISS out of business. I read the Roger Jones article you referenced in Autralian News. Unfortunately, that website did not provide opportunities to comment on the article. If this is the best that the pro-AGW has to offer to counter skepticism, then the movement has more trouble than I thought. Roger Jones might be persuasive to a casual observer, but any one with rudimentary understanding of the issues would see that his arguments are fluff. He cites three unnamed measures of global temperatures and maintains that all three show continued increasing global temperatures on ten-year moving averages. Likely, he is using GISS, HadCrut and perhaps NOAA as his three measures. He later says that although a consistent temperature measure is difficult, adjustments to observed data to arrive at a consistent temperature record is done with utmost care and thorough scientific review. The flaws in his statements hardly need exposition. That is truly awful. It’s tempting to make a copy and tear it apart sentence by sentence. Unfortunately, I’m spending so much time reading here I don’t seem to have time to do write all the pages I want…. I skimmed the Garnaut report’s chapter on science, and was not too impressed. Haven’t these folks heard that the CO2 pathway is saturated? Or that the PDO has flipped? Where’s all of Hansen’s data? He works on the government dime and everything that’s not a national secret should be published publicly. Everything: raw data, adjusted data, formulas, source code, output, etc. Oh, how I long for the days when science was based upon things like repeatability. Read the article. Very interesting, but erroneous I think. The global warming signature simply is not there. It’s time for the AGW eggheads to go back and redo their models – again. Their models keep predicting warming on every front, but instead we’re seeing just the opposite. Now I’ve heard of politicians turning a blind eye, but this is becoming willful stick-your-head-deep-in-the-sand-and-don’t-let anyone-pull-it-out circus. I think Tom Klein accurately ( and concisely) summed up how I feel about this web site. I ‘open up’ the site most days. Please keep up the good work. Ultimately the slow drip of scientific reason must surely overcome the warmists political propaganda. Please keep those facts coming! I do not believe it is reasonable to reach this conclusion based on the data chart you presented. I wish JPL had shown the correlation coefficient for their linear regression, because I strongly doubt it is very high. There doesn’t really seem to be a discernible trend from this data; the best conclusion is that the ocean SST’s remained constant over this time period. REPLY: Well, it’s pretty close to what ARGO is finding for the oceans, which is also a slight downward trend, so it is not at all unplausible. If you look at the scatter plot and take it all in, you can in fact eyeball a slight down trend. The whole issue would be moot if the data would be published in its entirety. They say they’ll release it in 2008, which I think is due to them wanting to have a 5 year data set available before public release. As I pointed out in my post the two year period of this plot is too short to be meaningful yet. When the data set is released, we’ll see if the trend holds or if it is simply noise. Hopefully the data set won’t have been “adjusted” as surface data tends to become these days. I’ve been wanting to thank you for your efforts for some time. The note from Tom Klein finally got me to post to you. May I agree with him that you, and others like you, are performing a vaulable service, for those like myself, who care about the environment, but know snake oil when they see it. I’ve been a field environmentalist/data collector/environmental regulator for the Feds and the State of FL since 1971. I didn’t belieive a word of the ice age scare around 1970…and I don’t buy the AGW line now…but, if those like you, can not get the truth out fast enough, we are going to be stuck with some really bad law based on an outdated theory of climate, that can not match curent data. Please keep up the good work, please keep the folks on this site civil, and please keep the information coming. I’m somewhat like counters in that I’m not sure what I’m seeing. I think it beyond doubt that the slope is not significantly different than zero. But what puzzles me is the almost absolute uniformity of it over what is actually a fairly long period — three years. I would expect to see some kind or variation in the data; if not much seasonal variation because this is the tropics, then at least evidence of temperature change from ocean current flow. On the one hand, this looks like what I might expect to see for the temperature of a still body of water, which the ocean is anything but. Try to imagine an ENSO animation of this data; I cannot. Granted, these are monthly data. But they still make me wonder what we’re really looking at in this AIRS chart. It looks like the blogosphere is beginning to make an inroad into the dead tree press with these sceptical items. This seems to be the way to go! Incidentally, we have not heard any more about the proposal to allocate work to us in support of an idea you had? Is this going through the mill, or on hold at present? Oh my livin lord. I just thought of something. The AIRS site sent me to the CO2 trend site that includes a substudy on the decrease of 14CO2 in the atmosphere. These substudies that were limited to just a few short years, reveal a decreasing level that is as stairstep as the other ones that show an increase. It is assumed that the increase shows the influence of fossil-based 12/13CO2 isotopes because 14CO2 has decreased in lock step. Fossil fuels do not contain 14CO2 because it decayed 100,000’s of years ago, leaving behind only 12/13CO2 isotopes in the signature left from burning these fossil fuels. Seems to be a reasonable argument. However, 14CO2 is made ONLY by cosmic rays hitting the upper atmosphere. Lots of cosmic rays would mean lots of 14CO2. Unfortunately, during the time 14CO2 was being measured, the magnetic shield of the Sun was at its greatest strength, protecting our atmosphere from cosmic rays. It would make sense that whatever 14CO2 was still in the atmosphere once 14CO2 was not being produced by cosmic rays, would begin to decay at a fairly steady rate, which it did. The rise in 12/13CO2 relative to the decrease of 14CO2 is as reasonably explained by the Sun as it is by burning fossil fuels. Correlation does not equate with causation. Two theories explain the same measured trend. One is natural, the other is human-caused. REPLY: I can see the relative rise in isotopic 12/13CO2 to 14CO2 but I don’t see mechanism here for the overall volumetric increase in CO2. Mike McMillan, point taken. Although hail is formed from water droplets. Hailstones when sliced through their center reveal an onion-like layering, particularly evident in the larger stones. These distinctively different layers indicate the type of ice formed as the hailstone grew in size, layers usually alternating between opaque ice and clear ice. An opaque ice layer forms when the hailstone collects small, supercooled liquid water drops that freeze rapidly on impact, thereby trapping air bubbles within the ice and giving it a “milky” texture. When larger supercooled water drops impact on a hailstone, the freezing is slower, allowing the air bubbles to escape, and thus forming clear ice. Have you filed an FOIA request with NASA? If not, just let me know what information you need and I’ll handle it. REPLY: Thanks I’ll keep that in my back pocket. Let us see what comes from a gentlemanly inquiry. I was only responding to the substudy contention stated in their write ups that the relative % decrease in 14CO2 from all CO2 was touted as a sign of AGW. Regarding the overall increase, I believe that outgassing from warm oceans have been causing the steady increase. It will take a while for the trend to reverse itself once oceans cool to the point that they not only stop outgassing, but begin sinking to a greater degree than they outgas. REPLY: …I don’t see mechanism here for the overall volumetric increase in CO2. Admittedly, the increase in CO2 has not been adequately explained. Since the vast majority of the increase in atmospheric CO2 is due to natural, not anthropogenic causes, a coherent theory is needed. As it stands, we’re still scratching our heads. And Pamela Gray (09:06:19), kudos for that fascinating post. It certainly undermines the claims of long-term persistence of CO2. Well, you may believe this. But, do you have evidence of this? As I understand it, scientists have evidence that the oceans have been a net sink for the CO2 that we have been producing (which is why the pH has been decreasing). Furthermore, you must explain why at the exact same time that we started emitting major quantities of CO2 through burning fossil fuels, did the oceans decide to start emitting to bring up CO2 to levels not seen in at least 750,000 years. (Unless you believe the old wet measurements of CO2 are accurate and wild oscillations in atmospheric CO2 concentration stopped just when the new measurement method became available.) And, why are atmospheric CO2 levels increasing by an amount less than the total amount of CO2 that we are putting into the atmosphere each year if the oceans are outgassing? AIRS is a “facility instrument”, meaning it is part of the Earth Observing System Facility and there is no Principal Investigator. As such, data coming from the instrument is freely available to all who request it. And AIRS data is truly free. In contrast to data from many other instruments, there is no fee to use the data. In addition, the AIRS Project is here to support the AIRS data users. How about asking for the (improved?) tools to access Any/All of the data? REPLY: I’ve been in touch with the AIRS team, and I expect we’ll see everything we ever wanted to see in about 8 weeks. They are doing extra due diligence to ensure the methodology and data are solid. After corresponding with them, I think they deserve that chance to release it on their terms. http://ipcc-wg1.ucar.edu/wg1/Report/AR4WG1_Print_Ch09.pdf .) You will see that the ‘hotspot’ is only given in the model that assumes the heating is caused by increases in GHG plot (C). The others show the expected pattern that should emerge if warming is the result of Ozone depletion, volcanic eruption, solar irradiation, and sulphate aerosols. None of the others show a ‘hotspot’ signature. Interestingly enough, the IPCC neglected to include a plot based on the observational record for comparison purposes (something I thought would be a natural thing to do), but it does not match ANY of the model outputs. It seems that the cause of warming is not due to one factor alone but some combination of these and possibly others that were not modeled (such as cloud formation in response to GCR changes). However, the graph appears to show AIRS data with very substantial systematic variations from the GFDL model and the constant Relative Humidity model. Seeing that water vapor is a far more important “greenhouse gas” then carbon dioxide, small changes in water vapor totally swamp any changes in CO2. The relative humidity data could be a way to test Miskolczi’s greenhouse theory vs conventional greenhouse warming models. It appears that the higher the CO2 concentration, the lower the temperature. I think we need to step away from “net” concepts and look at CO2 like we do ozone. We used to talk about it in terms of overall increase or decrease. However, we now know it spreads unevenly around the globe and thins/thickens in different places due to several factors. But what if we had only local stations measuring ozone at the south pole? We could infer that ozone is thinning everywhere. But our inference would be the direct result of station bias. If we only measured it for the past 30 years, we could infer that the hole is a new thing. Both inferences are potentially wrong since we do not have a long multi-decade and multi-cycle data set for ozone. But now that we have global satellite data, it is reasonable to talk about ozone in a zonal regional pattern, not a simple “net” number. And we now understand that ozone is very much impacted by solar cycles, regardless of the over-use of hair spray in the 50’s-60’s. I think CO2 is like this example. Many people tend to think of the stairstep to heaven graph as the final say: CO2 is increasing and it is caused by fossil fuels. But the “overall increase” may be a biased measure for reasons that will likely become clearer in the next 5 years (or possibly in the next few months) and will result in changes in our understanding of it, just like ozone. I think that the graphs are going up because something was/is linearly venting or concentrating it into the atmosphere near the measuring stations. It makes sense to then state that CO2 may be absent or thinning in other areas. So is it increasing everywhere or just being moved around in globs and from one form into another? With satellite data coming our way (hopefully soon) we will all have a better understanding of what this natural and necessary gas is actually doing. So Joel, to answer your very good questions, I wanna see more data, over a longer period of time, and in a form that shows actual CO2 levels around the globe just like we have now for ozone, temps, clouds, weather systems, ash, ice, etc. I’m just not going to hang my hat on fossil fuels=rising CO2=global warming. If I did, I could be hanging my hat on the “ozone hole” assumptive mistakes of the past. You would think that we would learn from that scientific global scare. You still haven’t figured out the “fingerprint” of AGW as stated by the IPCC and you are now trying to disprove 2 (two) separate highly technical measurements of the ocean upper temperature that just happen to be in agreement?? Assuming it is true, what does it say about the models that the hotspot isn’t there “in the real world” regardless the source of the warming? If the models cannot get the real world right — and the new paper by Koutsoyiannis et al is yet another indication that they cannot — then why should we trust what they say about the impact of rising CO2? I’m not sure you did your cause any good with that argument. I don’t doubt that over this period of time, there was a decline in SST. I’m just wanting to be sure we know what we are looking at. Basil, I suspect Joel is engaging in what is called obfuscation, and knows better. Can you please update this post with the progress you have made with the AIRS team along with any details that you think should be included? The links in the posting by Brian D appear to somewhat validate the claims made by Chilingar et al in their article, “Cooling of Atmosphere Due to CO2 Emission“. Granted, this is a snapshot of one month, but it certainly makes for an intriguing case to perform a multi-year reconstruction based on available data. quote:The links in the posting by Brian D appear to somewhat validate the claims made by Chilingar et al in their article, “Cooling of Atmosphere Due to CO2 Emission“. Hmmm. It is almost like somebody is hedging their bet, no? If the cooling trend continues we will be getting the same blurb: stop breathing because you will freeze the planet. Actually, the aritcle uses the doubling of CO2 theory put forth by Hansen to show that it would actually cause a decrease of 0.1C, and not the projected increase that Hansen implies. I disagree with your interpretation of Fig. 9.1. One has to be careful reading contour plots. In particular, for mechanisms like the solar forcing that are expected to have been much weaker over that time period, the contours are not shown over fine enough intervals to resolve the ratio between the surface and upper tropospheric warming. 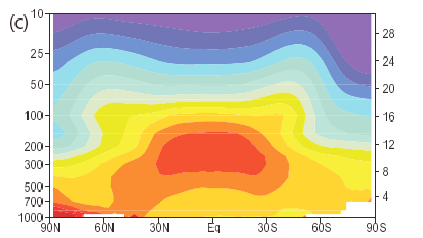 If you look at the scale, you will see the surface warmed 0 to 0.2 C while the upper troposphere warmed 0.2 to 0.4 C. This is compatible with almost any amplification factor greater than 1 and less than infinity and is most definitely not incompatible with the amplification factor of 2-3 that Monckton says (and that figure confirms) is predicted for the mechanism of greenhouse gases. For sulfate aerosols, you can also see the expected amplification in that figure. In this case, the aerosols cause a cooling. So, the prediction is that the cooling higher up in the troposphere will be amplified relative to the cooling at the surface, which is indeed what the figure shows. Well, models are never perfect reproductions of the real world. However, in this case, the models do get it right for the temperature fluctuations that occur on monthly to yearly timescales. They disagree with some of the observational data sets for the multidecadal trends, but as I noted there are very good reasons to suspect that it may be more the data than the models that are wrong there. And, indeed attempts to correct the data for known problems brings them more in line with the model predictions. At any rate, the fact that the models get the amplification of temperature fluctuations right severely limits potential mechanisms by which they are failing. So, such venting is happening at all of the stations shown here: http://www.esrl.noaa.gov/gmd/ccgg/carbontracker/tseries.php?type=mr#imagetable ?!? And, what is happening to the CO2 that we know we are producing from fossil fuels…CO2 which, unlike the exchanges occurring between oceans and atmosphere and biosphere and atmosphere, has been locked away for millions of years? First, I believe that it is generally agreed that the models are only good for projections, not predictions, second, why should the data be continually massaged until it agrees with the models? Surely, the other way round is the correct way to go. In response to the first part, I don’t see the usefulness of quibbling over words. The IPCC uses “projections” to emphasize the fact that one has to come up with certain scenarios regarding how our societies develop in order to determine what future emissions levels might be…and that is in large part under our control. As for the second part, when models and data disagree, there is no general rule that determines which of them is right and which is wrong. One has to look on a case-by-case basis. 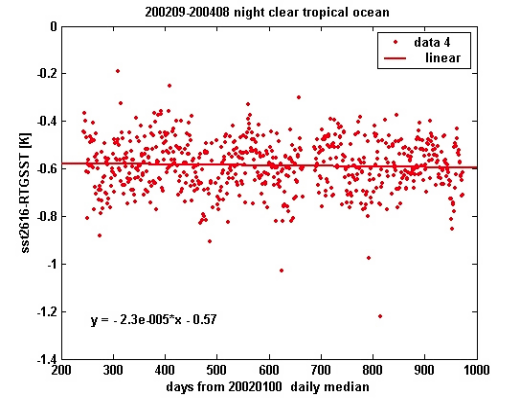 In this case, since the amplification with height in the tropical troposphere comes out of some pretty basic physics and is actually seen on timescales over which data quality is not expected to be an issue, and since data quality is KNOWN to be a major issue on the timescale over which there is disagreement, it seems reasonable to look carefully at the data. However, I strongly encourage you to come up with a proposed physical mechanism currently left out of the models that would bring the models into better agreement with the data for the multidecadal trends but would not screw up the agreement seen for temperature fluctuations on shorter timescales. I’ve thought about it a bit and haven’t come up with any plausible mechanism…Have you? Why did you ignore that, and choose to use “However” and an exclamation point, Joel? Care to comment on why you think “The signature of an increased greenhouse effect is a hotspot about 10 km up in the atmosphere over the tropics” is a misconception? Isn’t “increased greenhouse effect” about the same as saying “warming”, and doesn’t “the models” refer to global warming models? As an engineer, I can’t convey how much this appalls me. There are no words. If an engineer working for me told me they adjusted measured data to fit a model for publication, I’d fire them on the spot. It’s a pretty good example of why many hard scientists distrust climate modeling. I wish we could run this way of thinking by any of the great philosophers of science of the past. When model and nature disagree, the model is wrong. Period. If you think the data is not good, you have no excuse for trying to use it. Don’t adjust it. If you torture numbers long enough, they’ll confess to anything. Another Engineer: I do computational science for a living in industry and, frankly, if every time there was disagreement between model and data, I said, “Well, I guess the model is just wrong” then I would deserve to be fired. And, by the way, I think most of my colleagues would say that if anything I probably err a bit on the side of having too little faith in the modeling that I do, not too much. If we abandoned all models and theories (or tried to force changes in them to make them agree with every piece of observational data), we’d still be back in the Dark Ages. There are no hard-and-fast rules in science…Theories and models can be wrong but so can the observational data. Glenn: The point is that the models predict the fastest warming should occur at the Tropics at an altitude between eight and 12 kilometers independent of the mechanism causing the warming. Hence, it is not a specific signature in the models of an increasing greenhouse effect…It is simply a signature of the way the models predict warming, cooling, or temperature fluctuations occur in the tropics period, i.e., that they are magnified with altitude because the temperature profile is pretty much pegged to the moist adiabat. Joel, once again you ignore what I say and dictate from the pulpit. Your claim of this hotspot being a normal natural signal having nothing to do with AGW does not conform to the wording of the article. I’d say it would be reasonable to assume that “expected” meant expected because of AGW warming. The onus is on you to show why that is not true. Not “should be a certain temperature or should be warmer than the surface, but expected to be warm*ing* *faster*. The word “faster” indicates an increasing trend. Normal conditions do not increase on their own, Joel, and if they appear to be or are hypothesized to increase, models that attempt to reproduce those increases *must* include the known mechanisms. Your “basic physics” like “pegged to the moist adiabat” must have a mechanism for this expected increase in temperature over the tropics. Clearly there is an expected increasing temperature trend(warming faster). They are not talking about some normal phenomenon, but of an increasing warming trend. You neither disputed or refuted that claim, that at least one model does include mechanisms said to be responsible for the theoretical increasing warming “hotspot”. You need to provide evidence that this hotspot is not claimed to be included as one of AGW warming predictions. This recent peer reviewed paper shows that climate models are always wrong. There aren’t any exceptions. So excuse me for being a skeptic, but I prefer to go with the actual data. Which indicates global cooling. Others are welcome to their beliefs. The link complains about a missing cookie, so presumably you need to be subscribed to this site to be able to access the paper. Could you post the author/title/source for this reference? Well, yes, it is expected because of AGW warming; however, it would also be expected if the warming trend were due to something else besides greenhouse gases (like solar forcing). As for the onus being on me, I have given you various links in the posts that I refer to below. Au contraire, in my post of 30/07/2008 11:29:02, I linked to a figure at RealClimate shwing that the hotspot occurs in the GISS model whether the forcing is due to an increase in GHGs or to an increase in solar irradiance. Then, when Bill Marsh tried to argue that this was in contradiction to Fig. 9.1 of the IPCC report, I explained to him in my post of 31/07/2008 4:54:02 that he was misreading that figure. In particular, in the panel of that figure showing the results for the estimated historical solar forcing, this forcing is so small that the contours in the figure are not on a fine enough temperature scale to resolve the amplification that occurs in the tropical troposphere. All that you can conclude from that figure is that the temperature rise at the surface in the tropics is predicted to be between 0 and 0.2 C and that the rise further up in the troposphere is predicted to be between 0.2 and 0.4 C. This is compatible with any amplification ratio between one and infinity…and certainly is not incompatible with an amplification ratio of 2-3 as is seen for the GHG forcing. So, in other words, I have both provided a link to a figure that illustrates my claim and I have provided an explanation as to why the figure that Bill Marsh cited does not in fact show what he claimed that it showed. I also provided in that first post I mentioned, a reference into the literature that discusses the model predictions in the context of moist adiabatic lapse rate theory and even compares observational data for temperature fluctuations on monthly to yearly timescales with these predictions, showing reasonable agreement. Frankly, I don’t know what else I can do! Just to be really clear here since I am confused a bit by some of your phrasing, when you say “You need to provide evidence that this hotspot is not claimed to be included as one of AGW warming predictions,” my point is simply that, yes, it is a prediction of the climate models but, no, it is not a prediction that is specific to the mechanism that the warming is caused by greenhouse gases. The models predict the same sort of hot spot if the mechanism of the warming is an increase in solar luminosity or a decrease in sulfate aerosols or whatever. 12/13/CO2 isotopes in the atmosphere are increasing, so says the data from CO2 station sites (please remember that this is an assumption because most of these sites don’t care what isotopes they are measuring). 14CO2 appears to be decreasing based on a very limited number of substudies that specifically looked for 14CO2 in the atmosphere. This is the kind of carbon that is used to measure how old something is by looking at the decay factor in whatever it is stored in. The jump to fossil fuel 12/13CO2 being the one thing that is increasing (not plant-based 12/13CO2) was made because what else could be causing CO2 to increase if not for some new pump, since 14CO2 was decreasing? The new pump was then assumed to be fossil fuel based CO2, of which coal produces the highest amount when burned. 14CO2 is produced by cosmic rays. It is not a gas produced by burning anything that is fossil fuel based because it has decayed too much by the time we dig up the fossil liquid (or coal actually) and burn it. Any measure of 14CO2 in the atmosphere has to be there because of cosmic rays either producing it or not producing it. Long term atmospheric 14CO2 (not what is found in ice-cores, tree rings, or carbon dated fossils and rocks) probably fluctuates with solar cycles. When the sun is geomagnetically active (even during short minimums), which it has been up until the end of 2006, 14CO2 will steadily decrease in the atmosphere as it decays away. But now that we are bombarded with cosmic rays once again, there should be another upswing, if anyone would care to fund a study. This is the stuff that is produced by anything that takes in oxygen and gives off CO2 and when we burn fossil-fuel based stuff (IE coal). When the world is in a “plenty of food” warm phase, animal kingdom CO2 producers increase. The human population, Insects, birds, bats, bovine, bacteria, plankton, and Viking farmers in Greenland, all get a boost from the extra food available to it. It would make sense that, it you could measure it before it gets used, 12/13CO2 would be on the upswing. Some places on Earth cycle through being a sink and then a vent, like cool and then warm oceans. And sometimes, sinking lags behind venting because it takes a bit of time for the animal kingdom to start multiplying as a result of the CO2 using plants being more abundant. As long as the warm phase continues, either increasing or staying steady, the growing season predicts lots of oxygen and CO2. So much so that when the oceans are warm, CO2 should be streaming out of it. But what happens when we plunge into a cold snap that lasts through several growing seasons, cutting food production? Animals (see the above list) will suddenly decline, whales will go hungry, birds and animals will stop having multiple babies, bacteria stop muliplying, etc, etc, etc, and CO2 goes down. This starves plants, further reducing food, etc, etc, etc. A little too much concern, a little too late. Coal is no longer the main source of energy in the US. China is sucking up all the oil it can purchase as it switches from coal to petrol. All sources of fossil fuels are becoming increasingly expensive to extract, even if there are loads of it deep in the Earth’s upper layers. I just don’t see it as a major factor here. And I would be willing to bet that CO2 from industrialized nations can’t hold a candle to CO2 from increased animal kingdom growth during warm climate cycles. Saw a farmer the other day coming in from the field with a jacket on. It was cold out there mid-morning, bailing hay, in NE Oregon, even though the sun was shining. Folks here haven’t seen these kinds of day temps for decades. And where the hell are my bats and insects? One of us may need glasses, and I think it is you. IPCC 2007, IPCC Assessment Report 4 (AR4), 2007, Chapter 9. Figure 9.1, in Section 9.2.2.1, page 675. 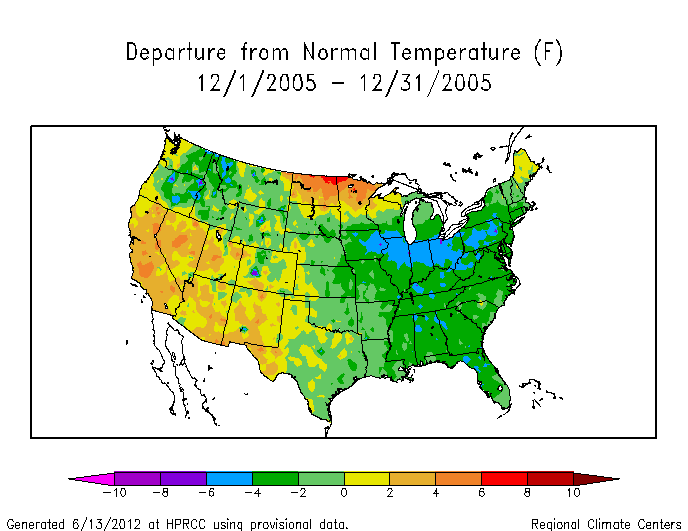 There are 6 “maps” in Figure 9.1, showing temperatures in varying colors. Not surprisingly, (a) shows neutral temps, (b) shows neutral temps, (c) shows a big friggin red spot in the middle with cooler air at higher elevations, (d) shows neutral to cooler temps, (e) shows cooler temps, and (f) shows an even bigger friggin red spot in the middle, with cooler air above. NO increase with solar being the forcing agent creating the warming, but a big increase when AGW is the forcing agent. I was surprised to hear you claim that conditions in this area of the atmosphere over the tropics would change the same regardless of the forcing. And it just clearly doesn’t appear to be the case. That whole chapter is talking about the different scenarios that would be expected from different forcings, be it soot, aerosols, GHGs or solar. It refers to feedback mechanisms, changing systems that all have different influences on the climate, depending on the source of forcing (warming). Different forcing, different conditions, Joel. It is clear as a bell. AGW models predict a “hotspot”, an *increased *rate* of warming in the upper troposphere over the tropics. Which is what I tried to explain to you, an theorized *increase* in rate.